Think you know it all? Or do you admit there's a TON more you wish you'd actually learned in school and life? Ready to stop faking it in 2015? Time for Knowledge Rehab. 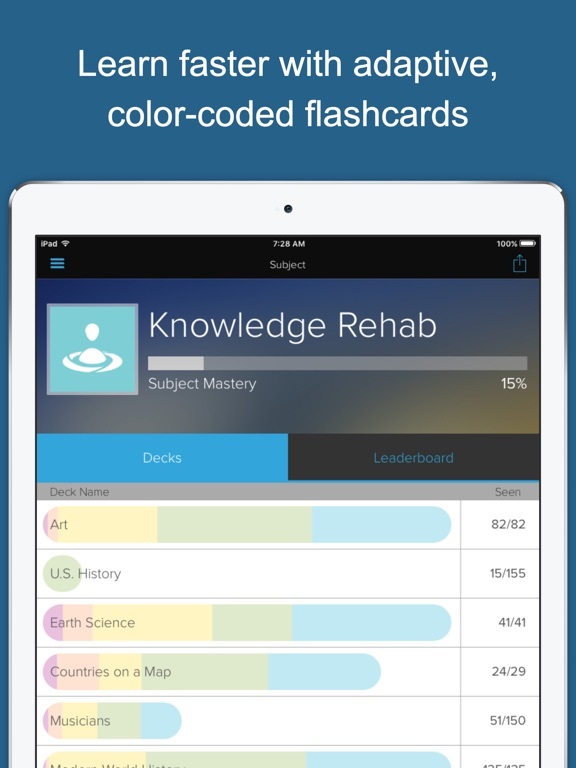 Through a multi-year project involving hundreds of students, teachers, professors, and experts (and even a few hipsters) from different fields, Brainscape has compiled a critical base set of knowledge across a huge range of subjects. Whether you want to review the arts, sciences, social sciences, or even pop culture and entertainment, it's all here. 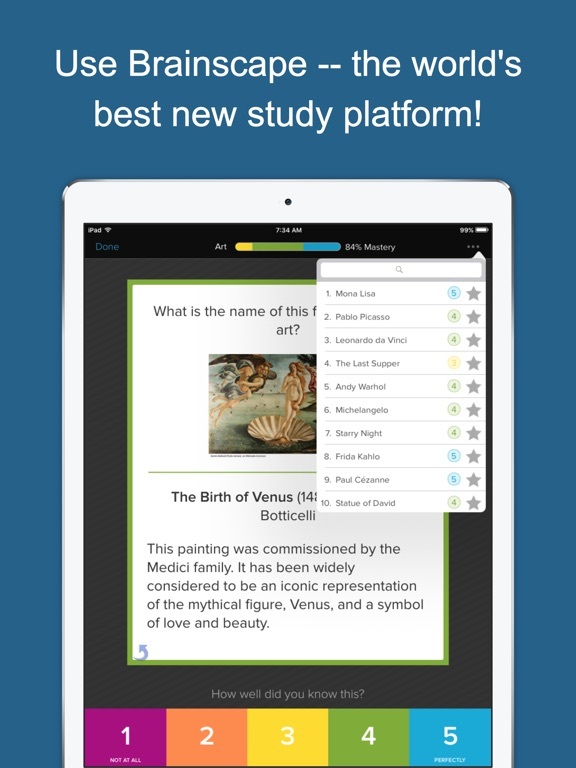 And it's optimized for the world's best new study platform: Brainscape. 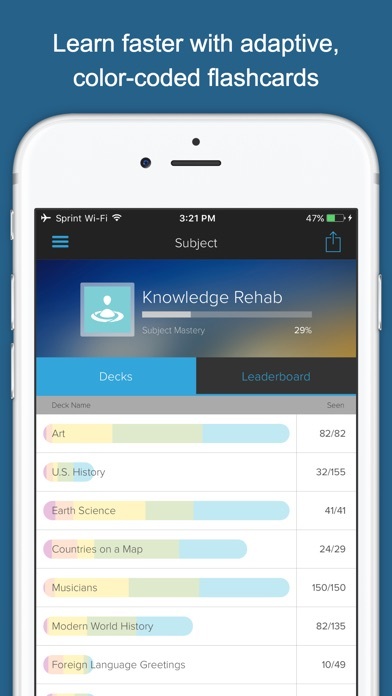 What is Brainscape? 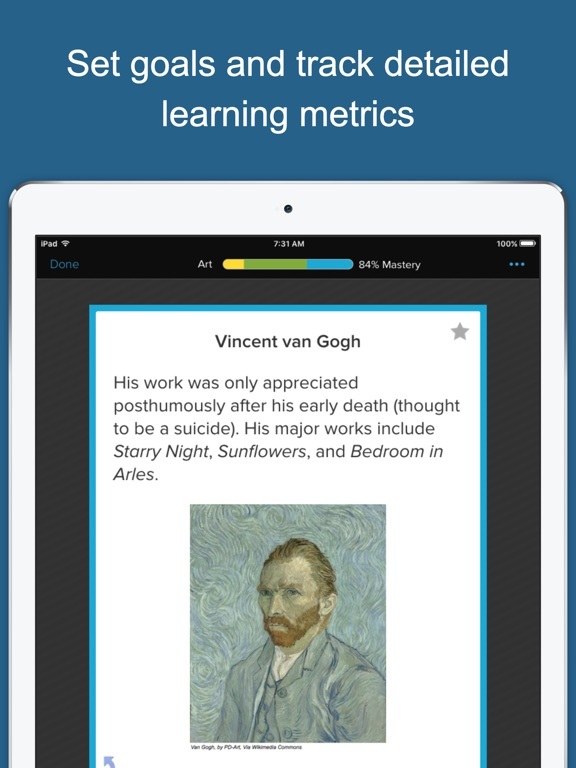 It's a web & mobile education platform that helps anyone learn faster using proven cognitive science. 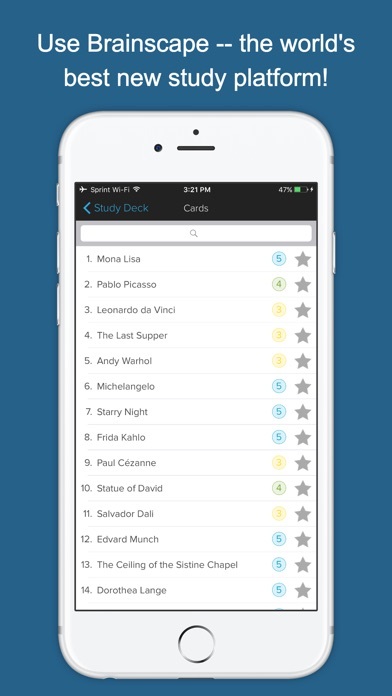 Think of it like 'flashcards on steroids'. 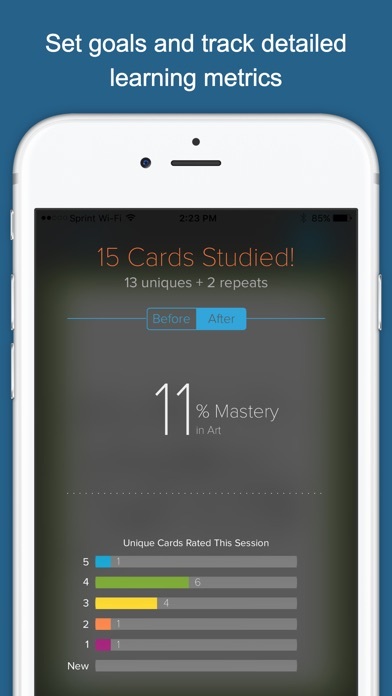 We bring together learners and educators to break knowledge into its most digestible building blocks, then we deliver it through a web & mobile study experience that is scientifically optimized for maximum memory retention. 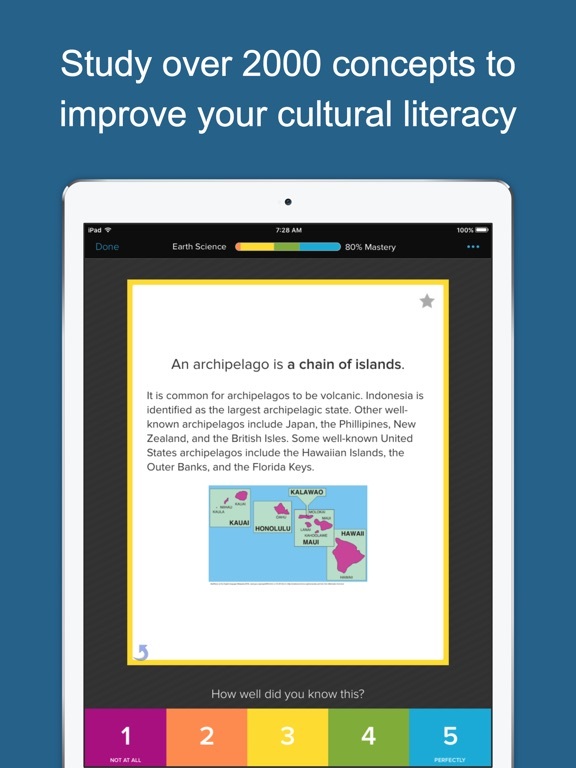 Over 1 million students & teachers already use Brainscape to create, share, and find efficient study materials -- for foreign languages, academic subjects, standardized tests, and professional development. 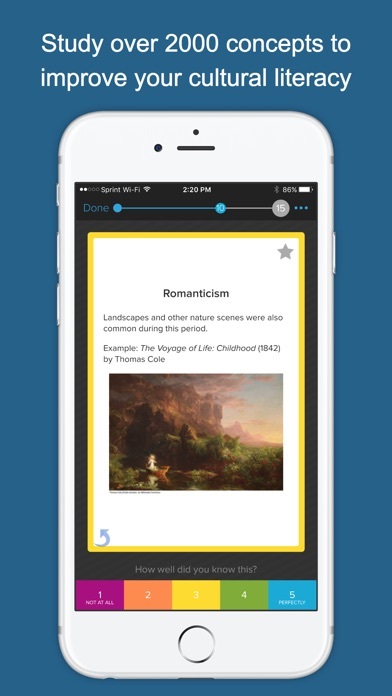 • over 2000 multimedia, smart flashcards covering the most important facts, concepts, people, and events -- many with links to important other sources of information for further study from around the web (and world). 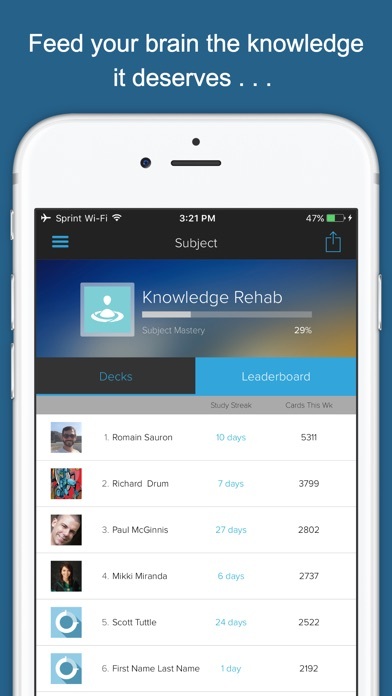 • a "Leaderboard" to allow you compare your own progress to that of the thousands of others studying Knowledge Rehab in Brainscape. So whether you want to stop faking it at the MOMA . . . or want to actually recognize characters on the History Channel. . . or if you are tired of being clueless about different types of music and art. . . 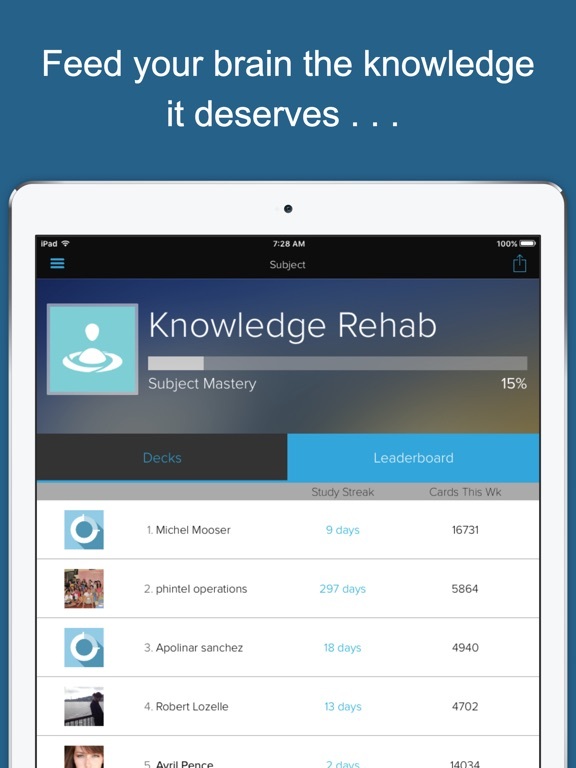 It's time for Knowledge Rehab!